Cast Your Vote for The QC for a Chance to Win Prizes! So easy to vote: Click the link below or image to the right to get started! Vote for just one or as many categories as you like! 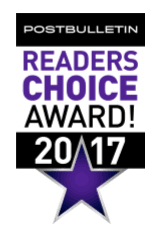 Under "SHOPPING AND SERVICES, find category "SEWING CENTER" and enter THE QUILTING CUPBOARD to vote for us! Easy as that! Voting ends August 6.